6440 points will be rewarded to you when you buy this item. Delicately lying upon her neck, this masterpiece radiates with a garden full of luminescent shimmer. 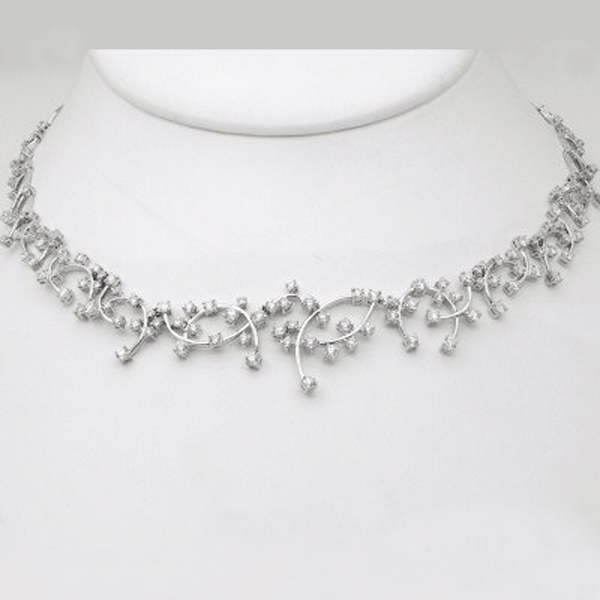 Set in a cool, polished White Golda compelling amount of sparkling round diamonds in prong settings collect to form blossoming flowers all along a chevron design. Totaling 7.25 CTthe look is certain to delight. This necklace is 18.0-inches in length and has claw clasp.